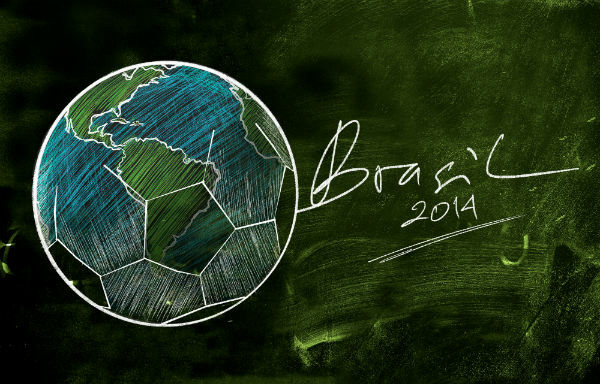 Whether you like soccer or not, it's hard to ignore that the World Cup is just around the corner. But as the final team cuts are made and announced, other interesting announcements are being made as well. For instance, the team slogans for each of the nations. Some of the slogans are really, really great. I personally love the Dutch slogan, "Real Men Wear Orange", but with a last name like VanderPloeg, I may be biased. But there are other nations that are downright embarrassed by their team's slogan. For instance, the poor Australians, whose team have long been nicknamed the Socceroos, are now also having to live with the idea that the side of their team's bus reads: "Hopping Our Way Into History". Possibly the worst part of that is that that slogan was crowd-sourced and voted on by the public. So while many Australians are bristling at the slogan, they really only have other Australians to blame. Switzerland boast a unique approach to their slogan in that they, fittingly, set a very specific goal they are attempting to achieve by listing the date and location of the World Cup Final that clearly, they intend to reach. It's an interesting list to read through on a Thursday morning and think about in terms of cultural nuance, vision casting, and then just plain good/bad slogans. Australia - Socceroos: Hopping Our Way Into History! Belgium - Expect The Impossible! Bosnia and Herzegovina - Dragons In Heart, Dragons On The Field! Brazil - Brace Yourselves! The Sixth Is Coming! Chile - Chi Chi Chi!, Le Le Le! Go Chile! Colombia - Here Travels A Nation, Not Just A Team! Ivory Coast - Elephants Charging Towards Brazil! Croatia - With Fire In Our Hearts, For Croatia All As One! Ecuador - One Commitment, One Passion, Only One Heart, This Is For You Ecuador! England - The Dream Of One Team, The Heartbeat Of Millions!! Germany - One Nation, One Team, One Dream! Japan - Samurai, The Time Has Come To Fight! South Korea - Enjoy It, Reds! Switzerland - Final Stop: 07-13-14 Maracana!